Windows Doors & More has been serving the Puget Sound region since 1993. Our showroom in the Seattle Design District is one of the most comprehensive in the region. Our experienced and knowledgeable sales staff are here to help you choose the right product to meet your project design needs and budget. Our displays of Milgard products includes Essence, Ultra, WoodClad and vinyl offerings. Stop in soon to see for yourself why Milgard products are Clearly the Best! Greater Puget Sound region including; Seattle, Lake Washington, Mercer Island, Bellevue, Sammamish, Redmond, Kirkland, Renton, Des Moines, San Juan Islands, Central/ Eastern Washington; Lake Chelan, Winthrop, Twisp, Bainbridge Island, Tacoma, Gig Harbor, South Sound, West Seattle, Alki, Madison Park, Ballard, Magnolia, Ballard, Green Lake, Madrona, Leschi, Queen Anne, Mill Creek, Mukilteo, Mountlake Terrace, Edmonds, Bothell, Brier, Clyde Hill, Medina, Hunts Point, Beaux Arts Village, Newcastle, Maple Valley, North Bend, Snoqualmie, Snohomish, Fall City, Monroe, Issaquah, Woodinville, Suncadia, Tumble Creek, Cle Elum, Camano Island, Anacortes. Windows Doors & More is rated 5.0 out of 5 by 16. Rated 5 out of 5 by DeckeTPD from Thoughtful, custom recommendations and excellent quality work We have done two separate projects with Windows Doors and More and have been very pleased with the professionalism of the dealer and also the installers. Communication has been excellent and we love how our windows look and function. Dealer also had excellent suggestions on how to size and position our new window which helped it to transform our office! Rated 5 out of 5 by CasLis1993 from Windows, Doors & More met all of our expectations plus! They have great customer service! Our dealer even came to our home to re- measure all of our windows and our sliding glass door just to make sure that everything was right. Our dealer recommended Suncoat MAX for all our windows, too. Even our neighbors have commented on how much less our air conditioning is running. 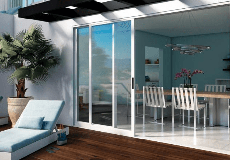 Milgard and Windows, Doors & More have met all of our expectations. During this whole project, when we had questions, we received immediate feed back. Thank you all at Windows, Doors & More! We will send a photo or two after our home is painted and our new roof is on. Rated 5 out of 5 by BB65 from Very knowledgeable and helpful dealer I am a general contractor and I use Windows Doors and More for all my projects. My salesman, Jimmy Boal, always has answers to my questions and I know I can send my customers down to talk to him directly to better understand all the options available. Always responds quickly to any question or issue and has gone out of his way to help. Rated 5 out of 5 by Cdamskov1 from Great customer service. Great customer service. Responsive. Follows through. Rated 5 out of 5 by alexandra from Excellent dealer As an Architecture firm working on residential remodels and new houses I have been working with Jimmy Boal at Windows Doors and More in Seattle for at least 10 years. He has always been extremely helpful, he understands the products they sell very well and knows which product is ideal for each situation. I am always impressed by his knowledge and responsiveness, I learn a great deal from him every time we discuss windows and doors. WDM are my dealer of choice. Rated 5 out of 5 by Bluereign9 from Wonderful company! Our experience with Windows, Doors and More was excellent from beginning to end. Their associate, Carrie, was quick to respond to our inquiry and she was professional, courteous and very helpful the entire time. Their workmen, Alex and Roman, were also fantastic. They completed the project quickly and cleanly. We had the Milgard Tuscany series installed. The windows are high quality and look wonderful. We recommend Windows, Doors and More without reservations.